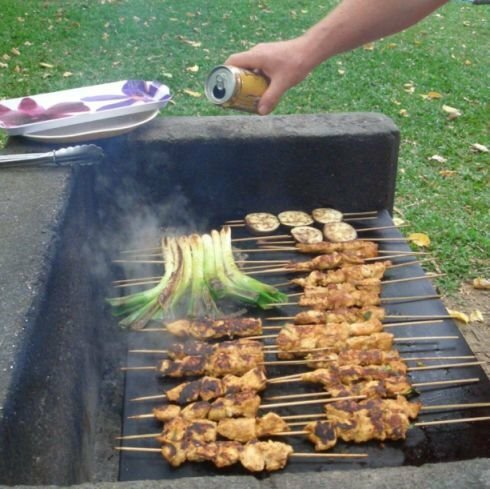 Two hours after MDR landed at home from his week long Philippines/Brisbane trip, it was off to the local park for a BBQ lunch. Here he is demonstrating his beer marindade technique. It's been a long time between drinks and marinades. No updates?